John W. Ward is a physical chemist and section leader at the Los Alamos National Laboratory. TIJERAS, NM, August 30, 2018 — Marquis Who's Who, the world's premier publisher of biographical profiles, is proud to present John W. Ward, Ph.D., with the Albert Nelson Marquis Lifetime Achievement Award. An accomplished listee, Dr. Ward celebrates many years' experience in his professional network, and has been noted for achievements, leadership qualities, and the credentials and successes he has accrued in his field. As in all Marquis Who's Who biographical volumes, individuals profiled are selected on the basis of current reference value. Factors such as position, noteworthy accomplishments, visibility, and prominence in a field are all taken into account during the selection process. A physical chemist and section leader at the Los Alamos National Laboratory since 1987, Dr. Ward was first hired as a staff member at the U.S. Department of Energy National Laboratory in 1956. During the 1970s, he had become a high temperature chemist who was able to read the physical chemical properties of all the trans-plutonium atoms up through Einsteinium. Becoming so successful during his tenure, after making a discovery in the field, the laboratory sent Dr. Ward back to school at full salary to earn his doctorate. In 1983, he was also a Los Alamos National Laboratory fellow. 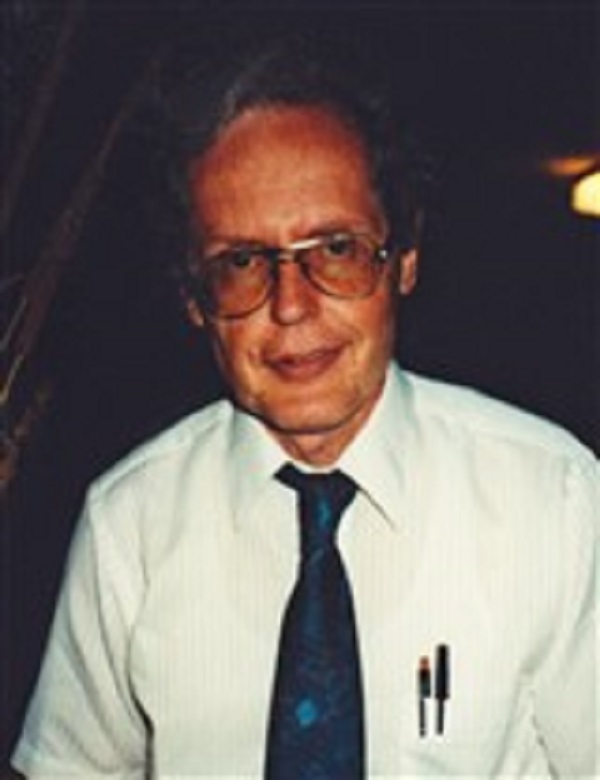 A guest scientist at the European Institute for Transuranium Elements in Karlsruhe, Germany, for several years between 1972 and 1985, Dr. Ward also co-authored the “Handbook on the Physics and Chemistry of the Actinides” Vol. III and IV in 1985 and contributed many scholarly articles to professional journals. He is a longtime member of the American Chemical Society, the American Vacuum Society and the Catgut Acoustical Society and an elected fellow of the American Institute of Chemists. Dr. Ward was the recipient of a U.S. Preistraeger from the Alexander von Humboldt Foundation with the Federal Republic of Germany in 1972. He has also been included in Who's Who in America and Who's Who in the West. Heavily influenced by his high school chemistry teacher to pursue the field in college, Dr. Ward later received a Bachelor of Arts and Master of Science at Washington University in 1952 and 1956, respectively. Accepting his first position at the lab that same year, he received a Doctor of Philosophy at the University of New Mexico 10 years later in 1966, which was funded by the organization. Serving on the board of directors and as the choral director of the Los Alamos Choral Society for nearly 30 years between 1966 and 1995, playing the viola and choral directing has been two of Dr. Ward's biggest passions. He also enjoys working in his garden and model railroading. Born in Moline, IL, Dr. Ward later married his wife Arlene Ward. He has four sons and nine grandchildren. In recognition of outstanding contributions to his profession and the Marquis Who's Who community, John W. Ward, Ph.D., has been featured on the Albert Nelson Marquis Lifetime Achievement website. Please visit www.ltachievers.com for more information about this honor.